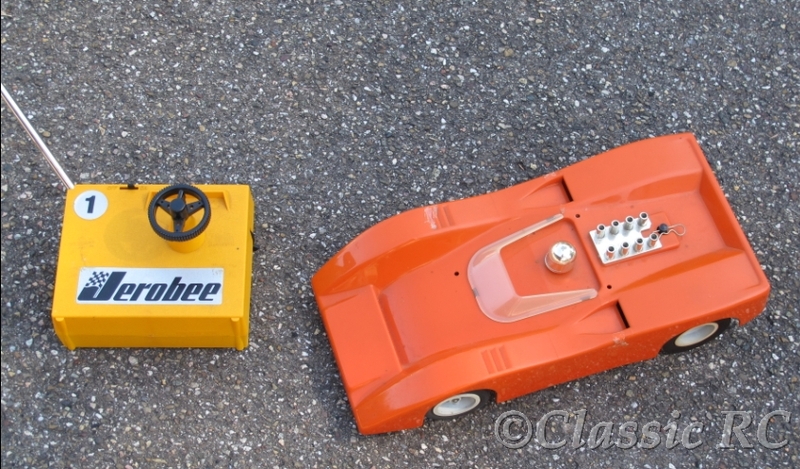 In the early 70´s Jerobee came out with their 1/12th scale cars. The RTR versions were using this Jerobee Comando transmitter, one of the first transmitters using a steerwheel. Throttle lever positioned sideways as with the Futaba FP-T2F later. The lever located at center of steering wheel is the steering trim. 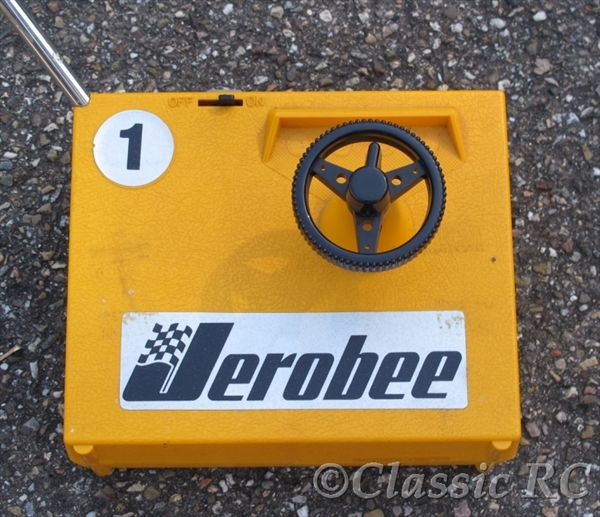 Jerobee car with Comando transmitter.